With the clock ticking down to the NHL trade deadline — set for 3 p.m. ET on Monday — it is time to update my big “On The Block” list of players believed to be available. In case you missed it, or for a refresher, back on Feb. 11 I published a list of 210 names — ranging from pending free agents to franchise players — and ranked them from 10 to 1 in terms of their likelihood to be traded, with 10 translating to 100 per cent and 1 to 10 per cent. The ranking system may be similar to the infamous Eklund from HockeyBuzz — and I hate even referencing him — but I’m happy to report that I’m faring much better than he ever did. I’ve also come close on the return value in a few of my 40 trade predictions from Feb. 18 — none have been bang-on, yet — but you can judge those results for yourself. Reviewing the 14 trades since my big list went live — beginning with Dion Phaneuf to Los Angeles on Feb. 13 through Brandon Davidson to the Islanders on Feb. 24 — the results are impressive. Of the 21 players traded to date, excluding prospects, 15 of them were on my big list — the six exceptions being Eric Fehr, Ryan Reaves, Michal Kempny, Jakub Jerabek, Darcy Kuemper and Scott Wedgewood. No big misses there, but no real surprises thus far either. That could change by Monday afternoon, but my list has been proving pretty accurate for the past couple weeks. However, an updated list is necessary because people want to know two things — who’s still on the block? And who’s no longer on the block? Not to mention, there are some newcomers on the block now, and others are seemingly more or less available today than they were on Feb. 11. Let’s start with who’s no longer on the block, ranked in my original order rather than chronological, complete with reasoning for each and my trade prediction comparisons for some. Of the seven forwards that I originally ranked at 10, Michael Grabner is the only one to move so far. TRADED: To New Jersey Devils for defence prospect Igor Rykov and a 2018 second-round pick. PREDICTED: To Los Angeles Kings for Paul LaDue, defence prospect Mikey Anderson and a 2018 second-round pick. TRADED: To Los Angeles Kings, with Wedgewood, for Kuemper. PREDICTED: To Calgary Flames, with Max Domi, in a three-way deal involving the Montreal Canadiens (full prediction details here, No. 14). TRADED: To Florida Panthers for a 2018 third-round pick. PREDICTED: To Montreal Canadiens, with a 2018 second-round pick, for Tomas Plekanec. 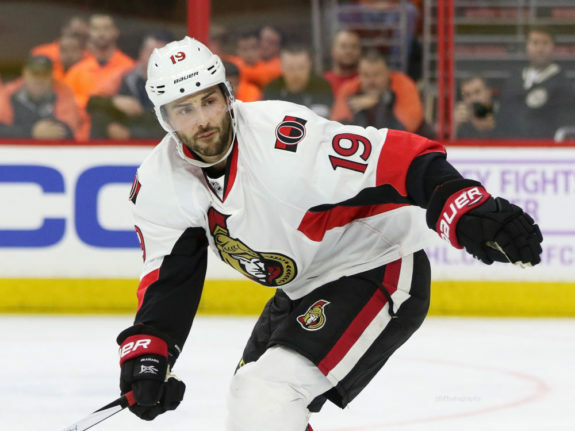 Derick Brassard is the latest player leaving Ottawa in what could be a mass exodus by Monday. TRADED: To Pittsburgh Penguins, with forward prospect Vincent Dunn and a 2018 third-round pick, for defenceman Ian Cole, goaltending prospect Filip Gustavsson, a 2018 first-round pick and a 2019 third-round pick. Three-way deal also involved the Vegas Golden Knights (full trade details here). PREDICTED: To Winnipeg Jets for Shawn Matthias, Nic Petan, Logan Stanley, Jansen Harkins and a 2018 first-round pick. SIGNED: Three-year, $3.6-million extension with the Florida Panthers ($1.2 million average annual value). TRADED: To St. Louis Blues for a 2019 fourth-round pick. TRADED: To Los Angeles Kings, with Phaneuf, for Marian Gaborik and Nick Shore. INJURED: Ankle surgery, sidelined indefinitely but expected to miss at least a month until mid-March. TRADED: To Chicago Blackhawks for Ville Pokka. TRADED: To Ottawa Senators, with Gaborik, for Phaneuf and Thompson. TRADED: To Ottawa Senators, with Shore, for Phaneuf and Thompson. 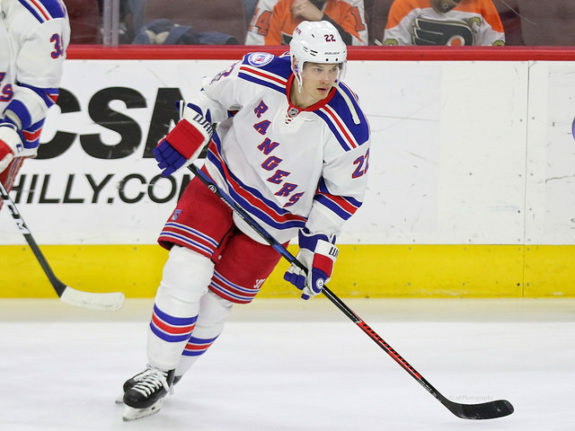 Nick Holden was one of four 10-ranked defencemen and, again, the only one traded to date as the Rangers got a head-start on most of the sellers. TRADED: To Boston Bruins for defence prospect Rob O’Gara and a 2018 third-round pick. PREDICTED: To St. Louis Blues, with Mats Zuccarello, for Dmitrij Jaskin, Tage Thompson and Jake Walman. TRADED: To Ottawa Senators, with goaltending prospect Gustavsson, a 2018 first-round pick and a 2019 third-round pick, for Brassard, forward prospect Dunn and a 2018 third-round pick. NOTE: Ottawa fully intends to flip Cole before the deadline, so he remains on the block and is almost certainly going to get traded twice — without ever suiting up for the Senators. TRADED: To Los Angeles Kings, with Thompson, for Gaborik and Shore. 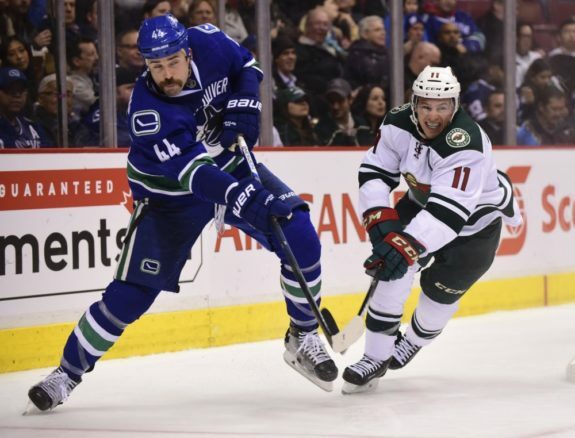 Erik Gudbranson, left, is staying in Vancouver much to the chagrin of the analytics community. SIGNED: Three-year, $12-million extension with the Vancouver Canucks ($4 million average annual value). TRADED: To Ottawa Senators for DiDomenico. INJURED: Shoulder surgery, projected recovery time of four to six months, expected to be ready for training camp in the fall. TRADED: To New York Islanders for a 2019 third-round pick. INJURED: Lower-body, sidelined four to six weeks from Feb. 18. 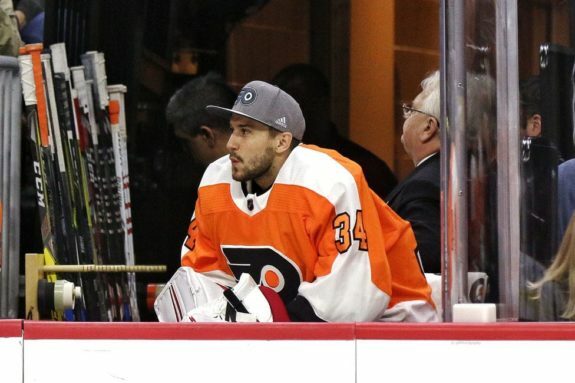 When Michal Neuvirth got hurt, Philadelphia went out and got Petr Mrazek, and he’s backstopped the Flyers to wins in his first two starts. TRADED: To Philadelphia Flyers for a conditional 2018 fourth-round pick and a conditional 2019 third-round pick (details on conditions here). So subtract those 20 players from my big list and it leaves 190 names. Add in 75 newcomers and there could still be as many as 265 players available to some degree ahead of the deadline, which should mean at least another 20 trades. For my updated “On The Block” list, the players’ former ranking will appear in parenthesis, if altered, and any new additions will show up as NR to indicate not ranked in the previous edition. 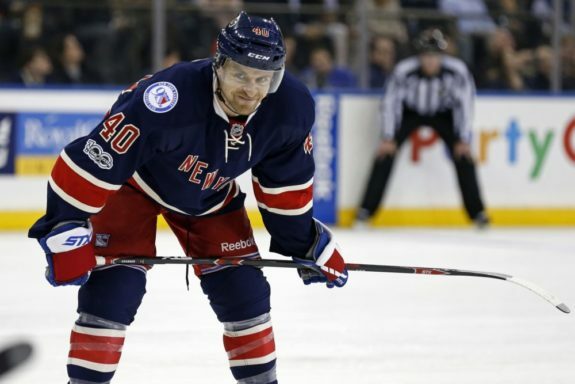 Yes, another Ranger … Rick Nash has already been scratched twice in anticipation of a trade. 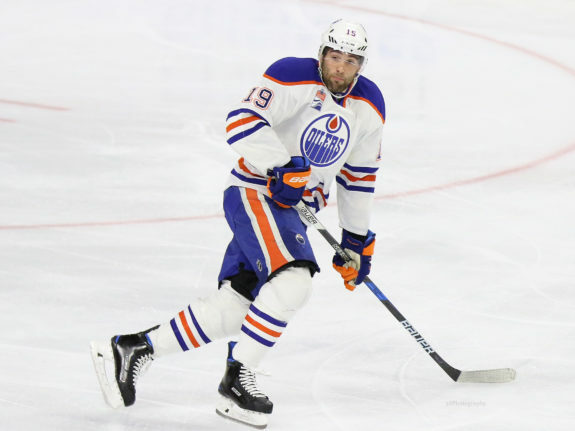 The Oilers had been talking extension with Patrick Maroon — thus the original 50-50 ranking — but without a deal in place by the deadline, it’s almost certain that he’ll be traded by Edmonton. 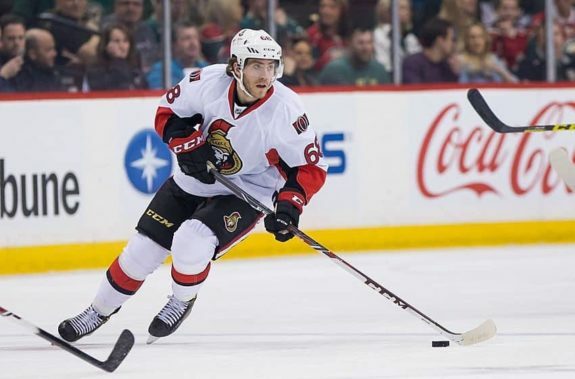 Mike Hoffman could be next out the door for the Senators if Pierre Dorion can fetch a similar return to the Derick Brassard deal. 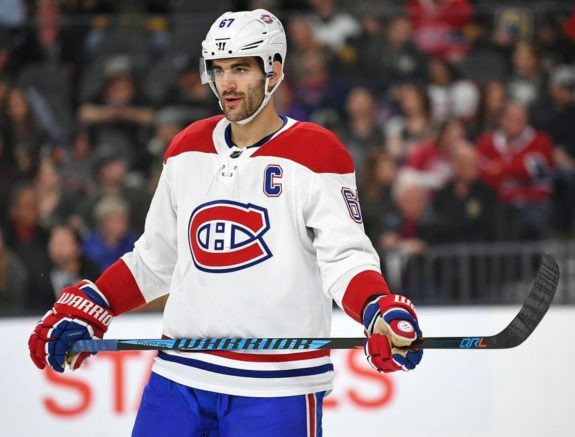 There is definitely interest in Montreal captain Max Pacioretty and he’s definitely available. The chances of a deal getting done do appear to be on the rise. Max Domi isn’t having a good season with the Coyotes, but a trade out of Arizona could spark his offensive game. Buyers will absolutely be calling for the asking price. 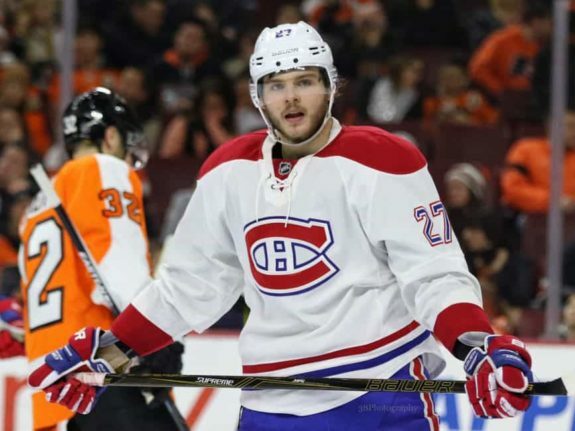 Alex Galchenyuk’s availability in Montreal is still a bit iffy. He’s not untouchable — like Jonathan Drouin is perceived to be — but Marc Bergevin won’t be selling low on this asset and would have to be blown away by an offer to move Galchenyuk at the deadline. 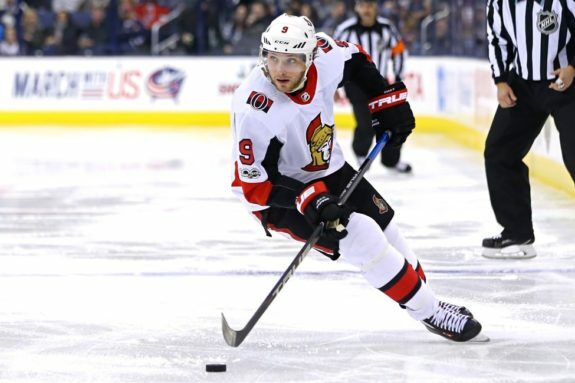 Bobby Ryan is healthy again, for the time being, and there are reports that Ottawa would like to package him — or, more specifically, his contract — with Erik Karlsson if and when the Senators trade the face of their franchise. 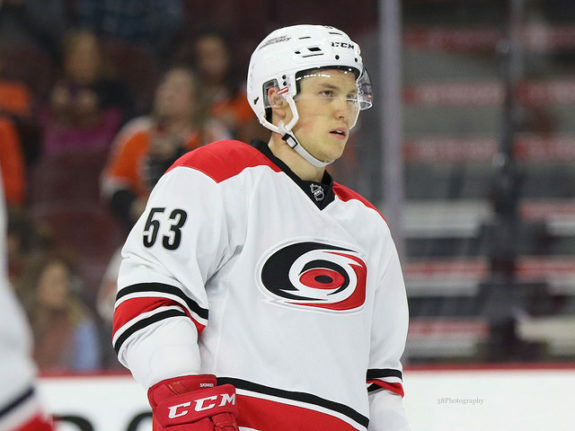 Jeff Skinner’s name has often been bandied about on the trade block, but he likely won’t move at the deadline unless it’s a hockey deal. Even then, the Hurricanes are looking to upgrade their offence, so it wouldn’t make sense to part with Skinner. 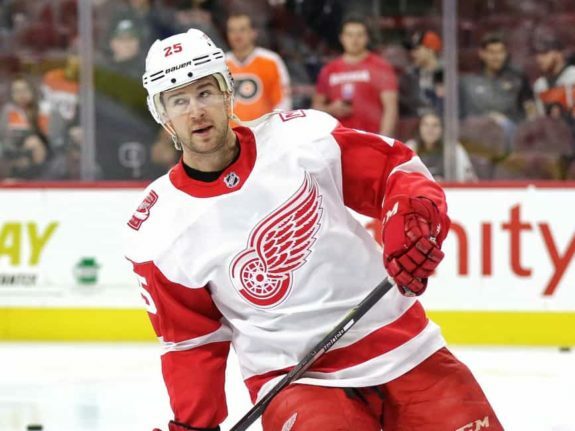 Mike Green has been injury prone at times during his career and the timing couldn’t be worse for Detroit right now. He’s hurt again, albeit day-to-day, and that seems to be holding up a trade or perhaps even cooling off the market for Green. 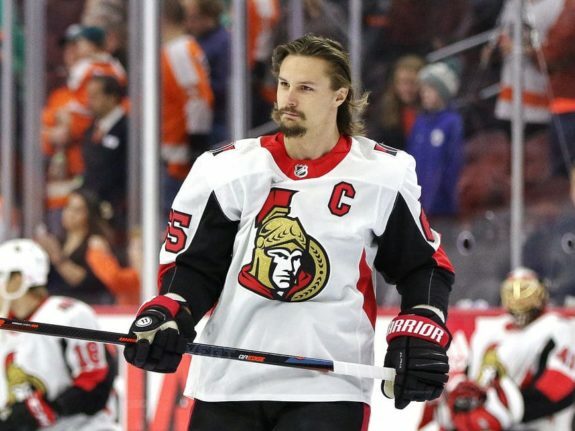 An 80 per cent chance that Erik Karlsson could be traded by Monday afternoon? That sounds outlandish, but don’t put anything past Ottawa these days. Jack Johnson looked like a sure bet to be traded — he had requested a move from Columbus — but the latest reports have the Blue Jackets weighing all of their options and even exploring a contract extension for Johnson. Crazy how things can change in a month. 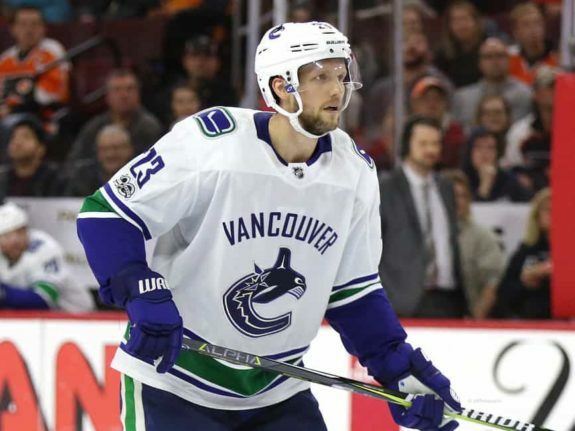 There was a rumour that Tampa Bay had been looking to land Alexander Edler from Vancouver, but he’s got a no-trade clause and apparently hasn’t been asked to waive it. At least not yet. 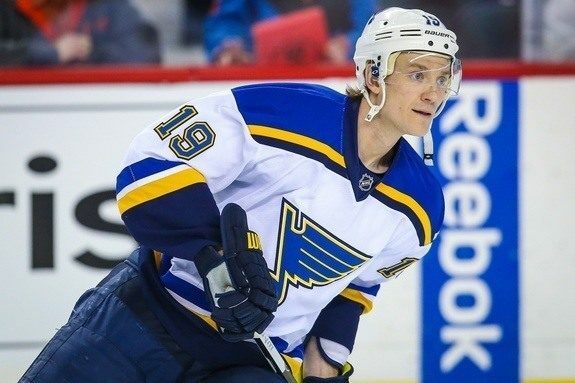 The Blues have been slumping as of late — be it due to goaltending or maybe missing Joel Edmundson on defence — but a shakeup could be in order for St. Louis and Jay Bouwmeester may not be off-limits. Doug Armstrong has some decisions to make before the deadline. Kevin Bieksa’s best days are behind him and he’s no longer a key player for Anaheim. 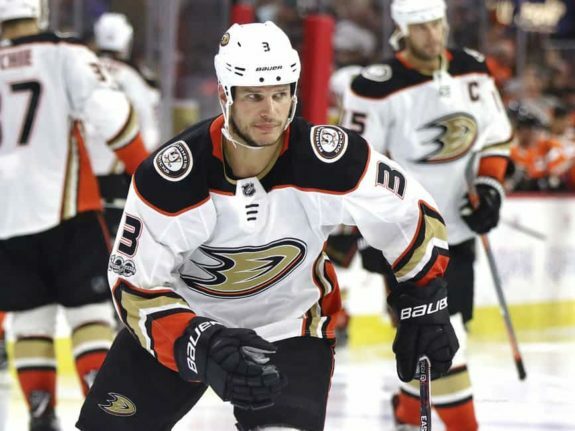 If the Ducks wanted to add salary at the deadline, they may ask Bieksa to waive his no-move clause to create that cap space, but there’s no guarantee he’d be willing. 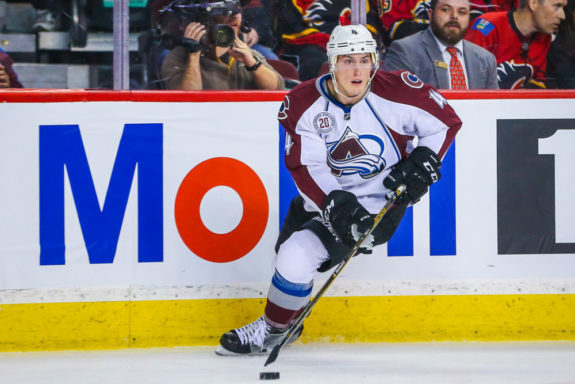 With the Avs losing again on Saturday, teams will be calling about Tyson Barrie ahead of the deadline, but there has been no indication out of Colorado that Joe Sakic is shopping him or even listening at this point. Seller or buyer? That’s still the question there. 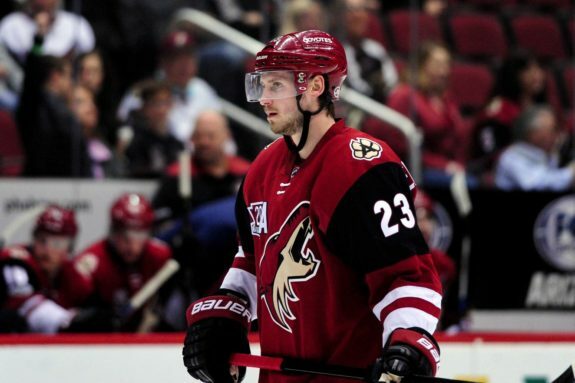 John Chayka went on the record again this week — after trading Tobias Rieder to Los Angeles — in stating the plan is to re-sign Oliver Ekman-Larsson to a long-term contract in Arizona. So don’t get your hopes up for an OEL blockbuster at the deadline. 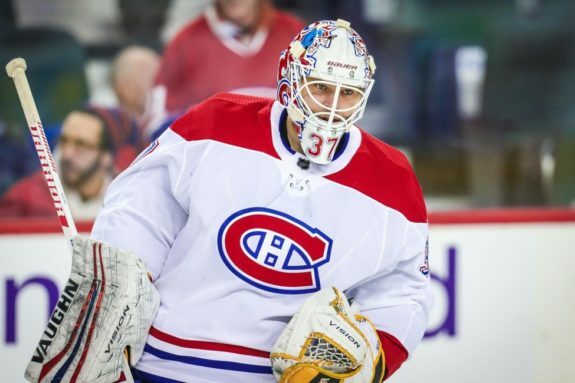 It appeared Antti Niemi’s NHL career was coming to a crashing end earlier this season, but he’s regained his form as of late for the Canadiens. Of the remaining goalies on the market, Niemi might be the most likely to move at the deadline. Who would have predicted that at Christmas? 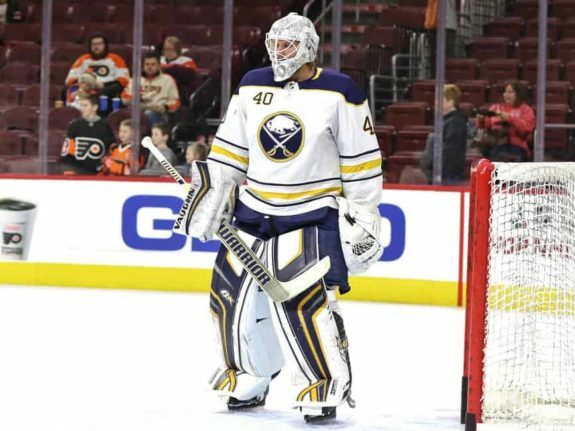 The goalie market isn’t a hot one right now, and considering the return that Detroit got for Mrazek, Buffalo might be better off keeping Robin Lehner for now. That doesn’t necessarily mean Lehner will be the Sabres’ starter next season, but there might be a better deal to be made at the draft. Well, what do you think — agree or disagree on the rankings? Is anybody missing from my list? Join the discussion in the comments below.